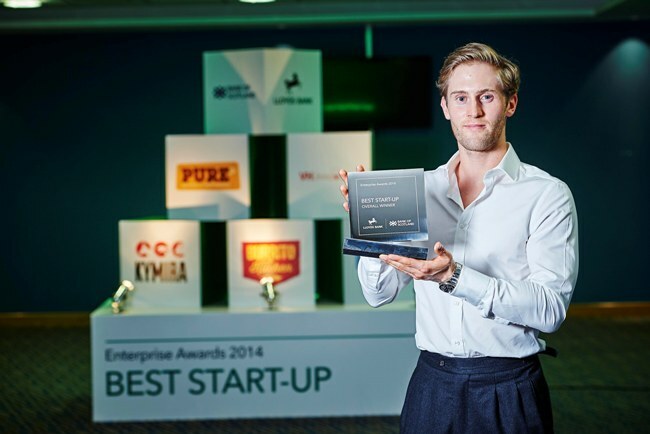 Innovative dry pet food manufacturer Pure Pet Food has returned triumphant to Yorkshire after being named Best Start-up at the Lloyds Bank Enterprise Awards in Edgbaston. After seeing off stiff competition from the winners of the five regional heats held across England, Wales and Scotland earlier this year, dry pet food manufacturer, Pure Pet Food, was named Best Start-up, having been judged to be the best business in its early stages. The panel of five judges chose the firm due to its dedication to manufacturing the highest quality produce and thorough understanding of the marketplace. Daniel Valdur Eha, joint founder of Pure Pet Food, said: “It feels fantastic to have been crowned the overall Best Start-up winner. “The £10,000 of funding we have won will be great for helping to grow the business in both working capital and accelerating our customer acquisition programme. Jen Tippin, managing director, retail business banking, Lloyds Banking Group, said: “These awards provide us with a great opportunity to recognise and celebrate the entrepreneurial spirit of this country’s students and graduates.